Situated by the banks of Rhone, Musée d'art contemporain de Lyon is a museum especially dedicated for contemporary art. 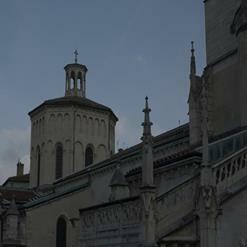 Formerly the museum was housed in Museum of Fine Arts of Lyon and was known as Musée Saint-Pierre art contemporain. It received a status of contemporary art museum in 1988 and was moved to the current location in 1995. The museum follows a philosophy of showcasing artworks created by the artists directly on the site.